A variety of stylish and effective racking protectors, exemplary choices to protect the upright frames and bases of your racking against impact damage. Available in a variety of models and sizes, we offer tough and durable racking protection that will not only help to prevent impact damage to your racking’s exposed uprights but also due to their sleek designs; they will not reduce your safe working clearances. 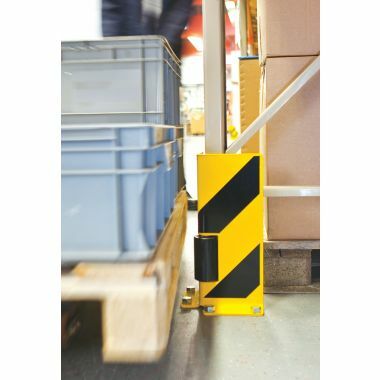 Racking protectors are essential in the workplace as they protect the interior walls from fork lifts and other moving machinery from potentially damaging the walls. These racking protection units will be able to withstand heavy duty machinery and equipment from hitting, we recommend industrial mirrors be also installed in your warehouse for added security. Both versions of racking protectors help to prevent and reduce impact damage to your racking uprights and bases. 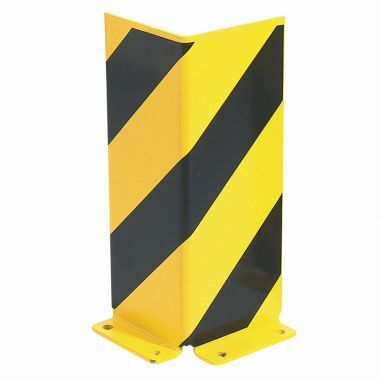 Bright coloured guards are highly visible, helping to prevent collisions with fork lift trucks etc. 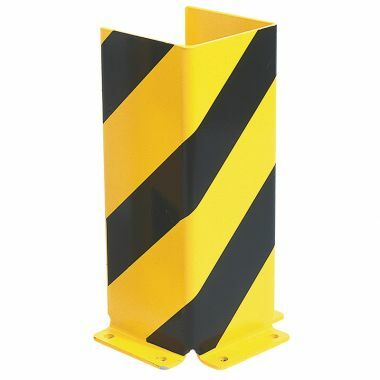 We have a range of hi-vis warehouses accessories such as retractable barriers and crash barriers which are a good addon. 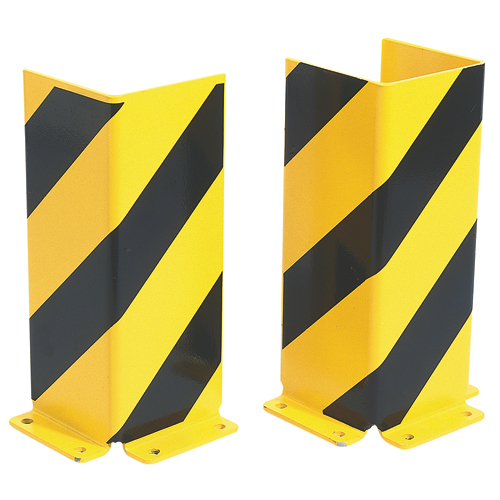 Choose from either heavy duty steel protectors, available in a variety of styles, or our simple yet effective upright guards that incorporate a high density polyethylene outer deflector and a tough inner foam diffuser. Heavy duty Warehouse Racking Protectors are available in either right angled or U-profiles, with or without rollers for added protection. Which Racking Protection should you buy? 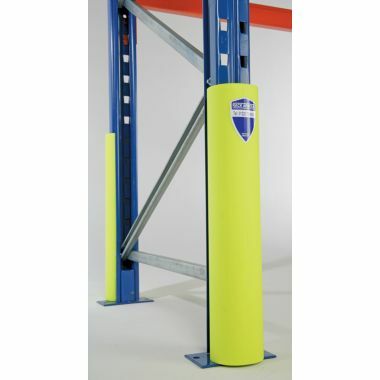 Simple, effective and cost effective, when installed onto standard racking our upright guards are only 100mm wide, minimising any intrusion into your safe working clearances. Our heavy duty warehouse racking protectors are constructed from 6mm thick gauge steel and are available in a range of sizes. In summary we stock a range of racking protection, from five pack guards for steel beams, to single pack strong protectors. Depending on your budget, all protectors are value for money and will keep beams and pillars safe and secure in a fast working environment.